Rajasthani Paintings have been a centre of attraction for all. During the early medieval period, perhaps early 5th century, a unique art form took shape in Marudesh (present day Rajasthan). During this period Marudesh saw tremendous changes in the political and cultural sphere and these changes lent a helping hand in further development of art. By the onset of seventh century; art of painting and sculpture had reached its zenith in this area. 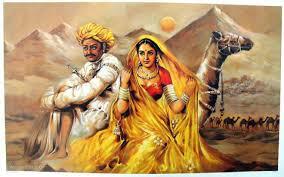 Colorful tradition of Rajasthanis reflects in art of paintings as well. This painting style is called Maru-Gurjar Painting. It throws light on the royal heritage of ancient Rajasthan. Under the Royal patronage various styles of paintings developed, cultivated and practiced in Rajasthan and reached its pinnacle of glory by 15th to 17th centuries. 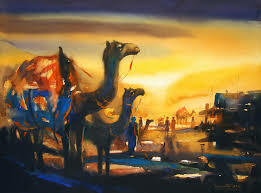 The major painting styles are phad paintings, miniature paintings, kajali paintings, gemstone paintings etc. There is incredible diversity and imaginative creativity found in Rajasthani paintings. Major schools of art are Mewar, Marwar, Kishangarh, Bundi, Kota, Jaipur and Alwar. Phad painting (Mewar Style of painting) is the most ancient Rajasthani art form. Phad paintings, essentially a scroll painting done on cloth, are beautiful specimen of the Rajasthani cloth paintings. These have their own styles and patterns and are very popular due to their vibrant colors and historic themes. The Phad of God Devnarayan is largest among the popular Pars in Rajasthan. The painted area of God Devnarayan Ki Phad is 170 square feet. Some other Pars are also prevalent in Rajasthan, but being of recent origin they are not classical in composition. Another famous Par painting is Pabuji Ki Phad. Pabuji Ki Phad is painted on a 15 x 5 ft. canvas. Other famous heroes of Phad paintings are Gogaji, Prithviraj Chauhan, Amar Singh Rathore etc. Nishank Bhati/ Batch 2012-13 was selected as Alumni this Month. He visited the School, interacted with students, met his old teachers and addressed the Assembly by giving a motivational speech. ED: In which year did you pass out from school? NB: I passed out in 2013. NB: I did my XII from Kota and I am now doing Sophomore in Computer Science and Technology. ED: Did you participate in any tournament when you were in School? NB: I never participated in Sports event, but I loved to play football especially during break-time and games lesson. NB: My batch mates were Shubham, Shivpal, Yogendra, Hemant, Aditi, Ritu, Joyce. NB: I have countless memories of the school but the one which I can never forget is when I was chosen to go to US on an Exchange Program to Hotchkiss School. I stayed there for a month and returned back with a new experience. It was fun. NB: A School gives a student a launch pad where one can decide when he/ she want to land. School like Fabindia gives perfect guidance, culture and exposure to bring one’s talent out and most important is Knowledge. Percentage doesn’t matter but knowledge matters. You should be good listeners, put up questions and do self study. Practice more and more in Math and you will start loving the subject. Staff welcomed their new Principal Ms. Rajeshree Shihag on 17th June when they came to School and had their first meeting with her. Staff was asked to read the novel ‘Is Your Child Ready to Face the World? by Dr. Anupam Sibal’ in summer vacation. The novel deals with different values and qualities that mould children. It also teaches to approach children effectively and master the art of parenthood. This novel is a great teacher which will help to cultivate better interpersonal relationships and deliver best learning outcomes. The teachers have read the novel and have now to choose one quality or value which they liked the most and how they have implied it in their Class. Mrs. Sharmila Vijaywargi and Mrs. Bharti Rao had their birthday in the month of June. Staff wished them a happy birthday. ATK: I joined the school on 21st Feb.2009. ED: Who was Principal at that time? ATK: Mrs. Parineeta Ranpal was the Principal at that time. ATK: The environment was beautiful. ATK: I taught Class I at that time. ATK: My qualification is B.A. ATK: I expect them to study well and become respectful. ED: Which schools have you taught before Fabindia ? ATK: Vivek and Nobel School I have taught before Fabindia. ATK: I want my students to study well and achieve their goals. Mr. Kamlesh Soni f/o Himanshu Soni/ IV & Simran Soni/ II was selected as Parent this Week. He is a Goldsmith in Bali. 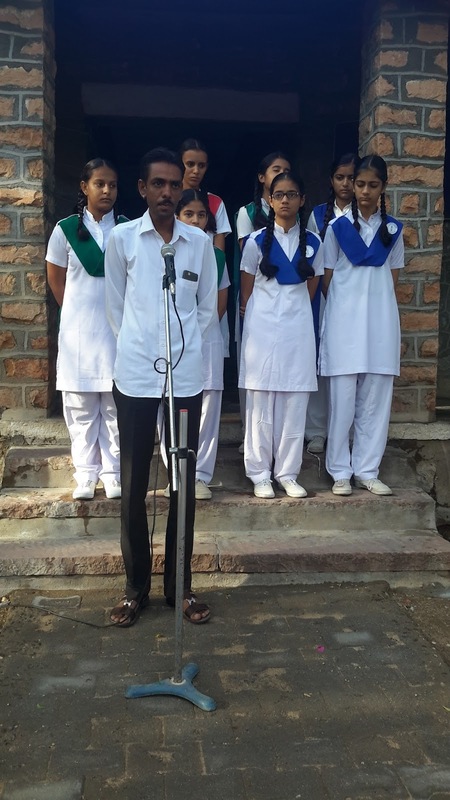 He is member of the School Management Committee. KS: I am a Goldsmith. KS: My two wards are studying here. KS: No, I have not achieved my goal because at that time my parents’ economic condition was not very well. They couldnot afford money for my studies. KS: I want my children to achieve their goal, work hard and settle down in future. KS: I expect the School to mould the students into good citizens and ready to face any challenges. KS: Students should concentrate on studies. Do a lot of hard work and achieve their goal. 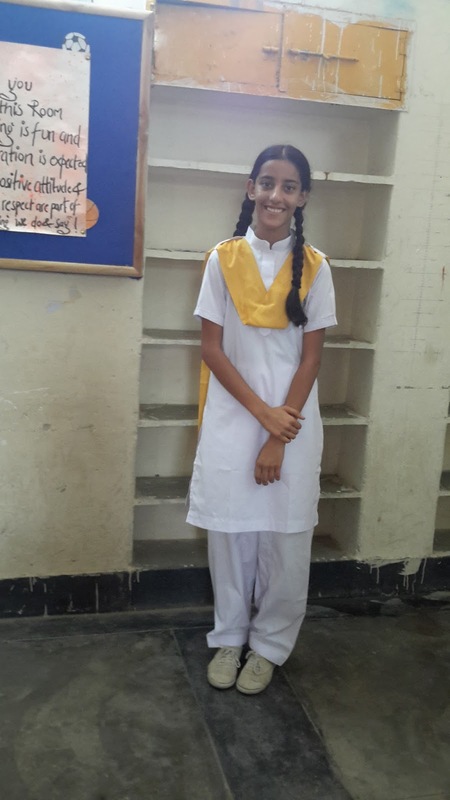 Muskan Rathod/ X/TH was selected as the Student this Week for achieving 10 CGPA in X Board. We are proud of her. Congratulations to her on this success. Monday, 19th June: Welcome back Readers! The School reopened on 19th June’17. Campus once again buzzed with activity. So, excited students were seen exchanging information about their visits and what they did during their vacations. All in all every student looked fresh and cheerful, ready for a new term. 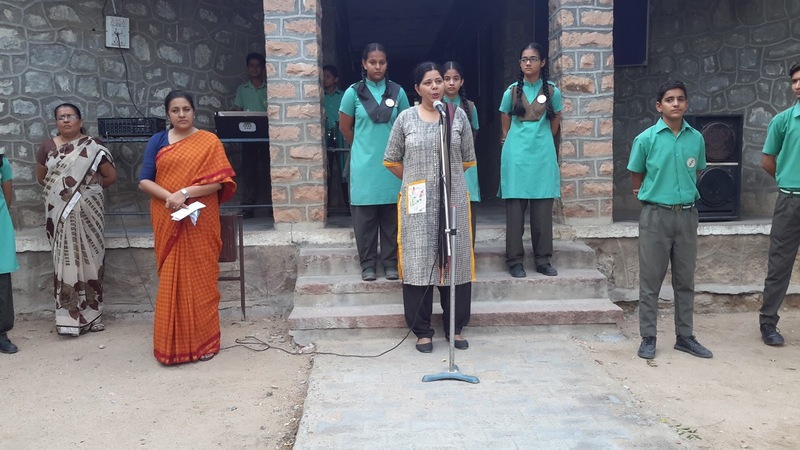 Ms. Rajeshree Shihag, Principal and the Teachers welcomed the students back to school, asked them to submit their Home Work. World Yoga Day is also called as International Yoga Day. The General assembly of United Nations has declared 21st June as the World Yoga Day on 11th of December in 2014. Yoga was originated in India in ancient period when people used to transform their body and mind. 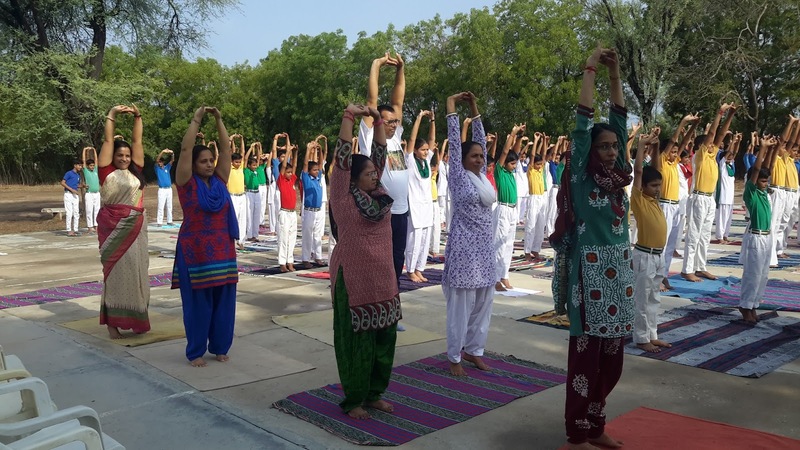 Launching a particular date of practicing Yoga all across the world and celebrating as to World Yoga Day was initiated by the Indian Prime Minister Mrs. Narendra Modi to the General assembly of United Nations. This day is celebrated by the people of more than the470 countries including USA, China, Canada, etc. It is celebrated throughout the world by organizing many activities such as Yoga training campus, Yoga Competitions, etc. This day is celebrated to make people aware about the benefits of practicing Yoga. 1. Let the people be aware about the natural benefits of Yoga. 2. To reduce the rate of health challenging diseases all over the world. 3. To enhance growth, development and peace all over the world. 4. 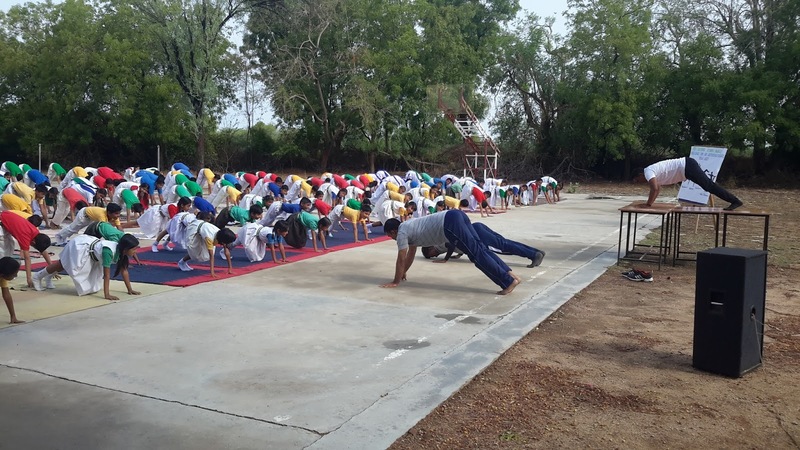 To promote better mental and physical health of people through regular Yoga. So, Yoga is a boon to people on the earth. Yoga takes nothing but gives you a healthy and a happy life. 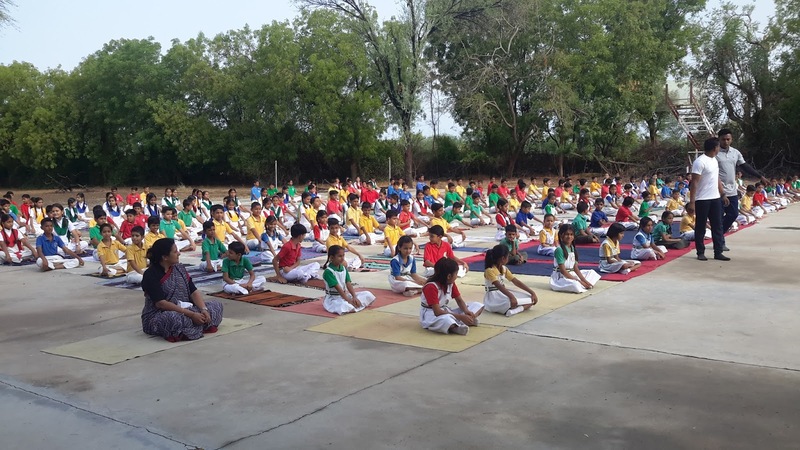 Wednesday, 21st June: On the occasion of World Yoga Day the School organized a Special Assembly. 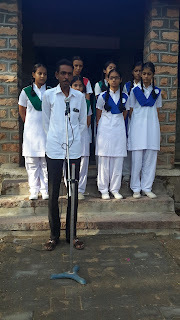 Priyanka Choudhary/XII/DH gave a speech on Yoga Day. 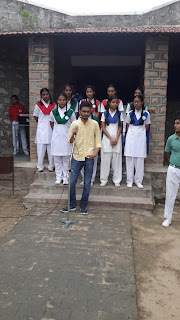 Muskan Rathod/XI/TH anchored the activity. 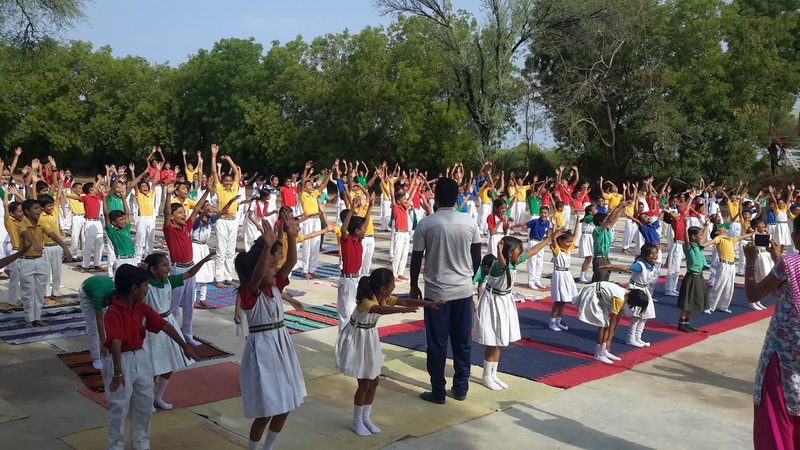 Students of Class I-XII and Teachers performed Yoga Asanas. The asanas that were performed were: Suryanamaskar, Vrikshasana, Tadasana, Trikonasana, Bhujangasana, Vajrasana, Camel pose(Ustrasana) and chanting OM three times. This pose gives you a sense of grounding. It improves balance and strengthens your legs and back. It replicates the steady stance of a tree. This pose teaches one to stand with majestic steadiness like a mountain. The word ‘Tada’ means a mountain that’s where the name comes from. It involves the major groups of muscles and improves focus and concentration. It stretches the legs and torso, mobilizes the hips and promotes deep breathing, leaving one with enlivening effects. This one will strengthen the lower back muscles while cushioning the spine, triceps and opens the chest to promote the inhalations. It also makes the spine flexible. It helps in Digestion. It helps to fight stomach disorder. It helps in increasing blood circulation in the body. Strengthen the back; opens the shoulders, chest and quadriceps; boosts mood and energy. 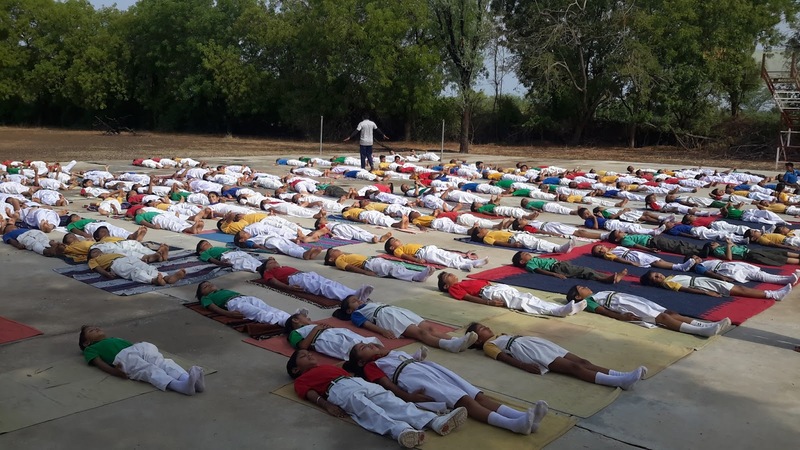 To promote better mental and physical health of students from now onwards breathing exercises or simple yoga asanas will be performed in the Assembly on daily basis.